3 Things Thursday is into week 25 if you can believe it, so that’s kind of like our Silver Jubilee 🙂 Pretty exciting that we’ve come so far along. If you’re just joining #3ThingsThursday, here’s a look at how we started. I got my new business cards in the mail and it’s perfect timing because at the end of the month I leave for my first Canadian blogging conference. 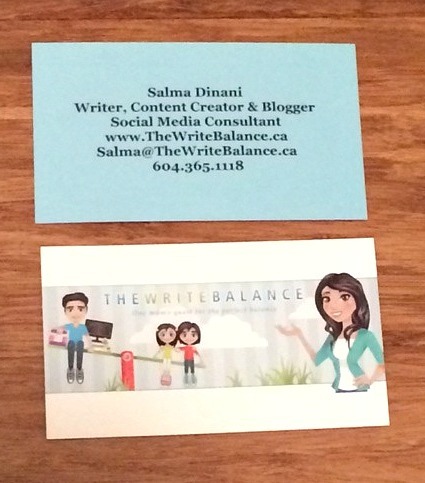 I’ve made a change on my business cards because I’m venturing out from just freelance writing and blogging. I am also starting to work more in the field of content creation and social media, two things that I love. So if I can earn money by doing things I’m passionate about, what could be better than that. I even added a new Hire Me page. Can you tell I’m excited about this?! This year, I am so excited to be attending Leading Moms for the first time! 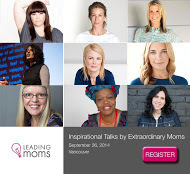 It’s an inspirational day with talks from Extraordinary Moms. I’ve heard so much buzz about the event and the fact that I am one of their blog ambassadors has me waiting in anticipation for September 26. If you’re interested in attending, you can buy tickets here. I’ll definitely be writing a blog post about my experience so stay tuned for that. We are all very excited that story time has started again at our local library. 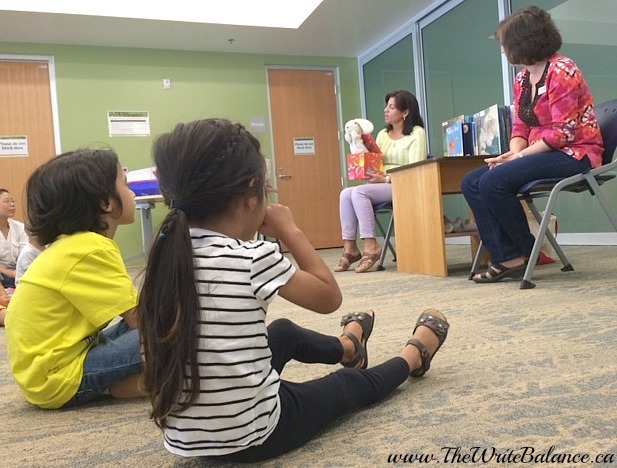 The story times are so much fun and it’s a great way to foster your children’s love of books. The kids had a great time last week. It’s almost like a ritual for us now. We go to story time, than the kids pick out a few books to borrow and we sit down with a snack and read a few in the corner of the library. You should check out your local library for their scheduled times. It’s fun, educational and free! 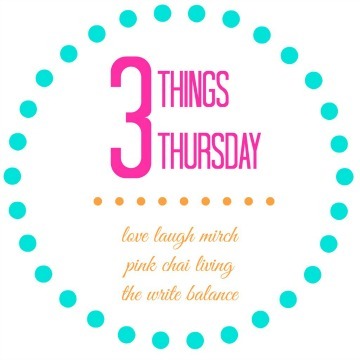 Those are my #3ThingsThursday and now it’s your turn to share! Just write up a blog post about the three things on your mind this week, grab the badge and then link up below, it’s so easy. 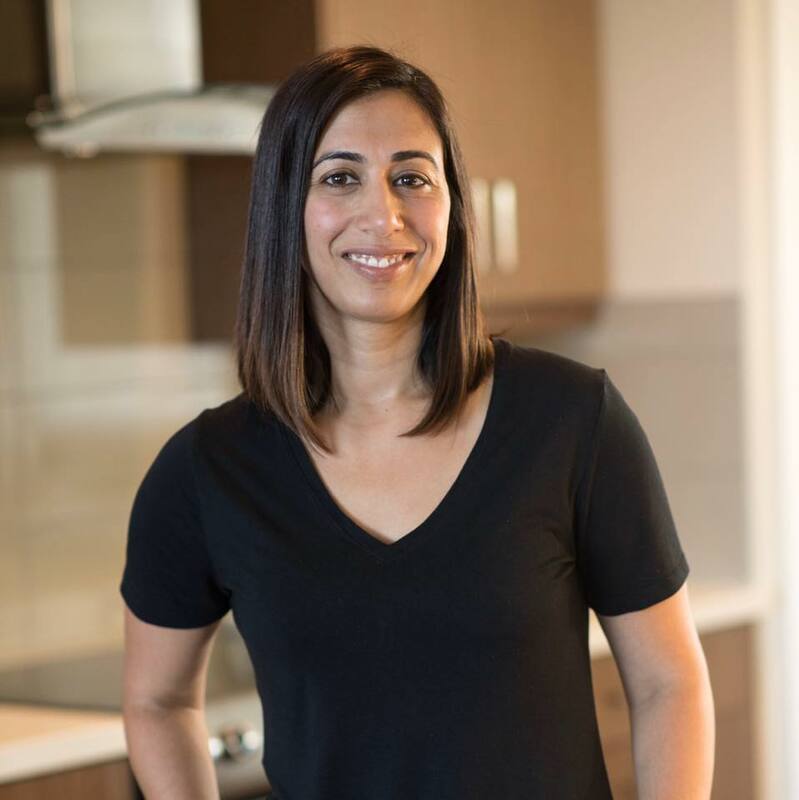 And when you’re done, make sure to pop by and say hello to my wonderful co-hosts, Raj from Pink Chai Living and Nisha from Love Laugh Mirch and check out what’s happening this week in their 3 Things Thursday and link back to one of us in your post. Congrats on Leading Moms! That’s huge! Love the business cards and that you’re making your passion your paying job! I’m so excited for you!!! Let us know how it goes! I like your business cards especially that they are so informative on what you do. O wow you are a rock star, by participating in the leading moms. Wasn’t familiar with the Leading Moms conference. Will have to mention that to my wife! It’s going to be great Scott! Congrats on leading mom’s. That is awesome. Your business card is awesome. I will have to engage with you after your conference and discuss your social media package options. Thank you for sharing. Appreciate that Nate and I would love to engage with you offline. Hey, I like this idea of 3 things Thursday. I just might add my link! Congrats on the business cards. I LOVE getting new business cards. Talk soon! I should probably get some biz cards made for my other businesses and I’ve always wanted to go to a conference for blogging. Sounds like you’ve got some fun events coming up! 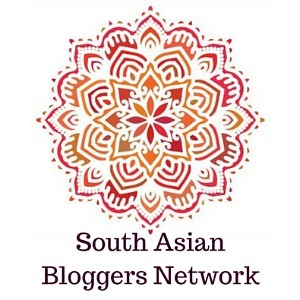 Blogging conferences are lots of fun and your new business cards look great!